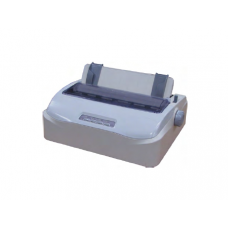 The Tally Dascom 1140, is a 9 pin, 80 column serial dot matrix printer with a USB interface as standard. Compact in size, the 1140 is perfect for industrial environments and front and back office applications where space is limited. With low running costs, high quality output and an easy to use control panel it‘s ideal for small business, low volume listings and reports, as well as dispatch notes and labels. n addition to these applications, the 1140 is also well suited to measurement and control systems. Among the lowest priced matrix printers available today, the 1140 also offers a long life ribbon giving this printer very low running costs.